As many of you know, my family and I are expecting baby number three in just a few short weeks. As I take some time off from work and blogging to spend time with my family both before and after my new son’s birth, I am thrilled to share with you some amazing posts written by some very talented bloggers. So please sit back, relax and enjoy this guest post and leave a comment letting us know what you think! 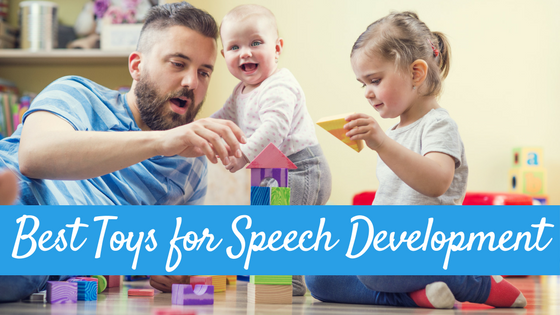 Today we have Kristine from Live Love Speech sharing some fun summer books and crafts for speech and language. This post contains affiliate links to Amazon.com for your convenience. 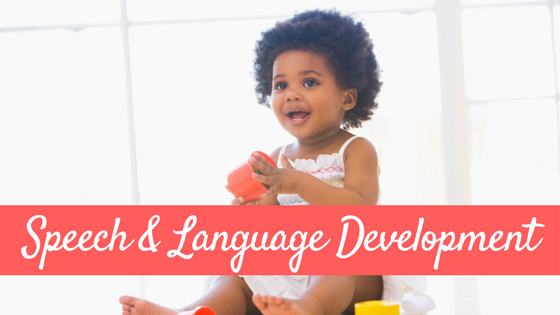 Do you have students/kids that just love doing “hands-on” projects and activities? What about students who can’t get enough of fun books with awesome graphics? If this sounds like some of the students/kids you know, then you must keep reading! I am going to share with you some crafts, recipes, and projects that pair perfectly with adorable children’s books! 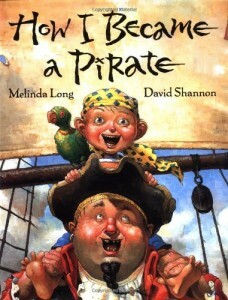 How I Became a Pirate by Melinda Long is a SUPER ADORABLE book!!! 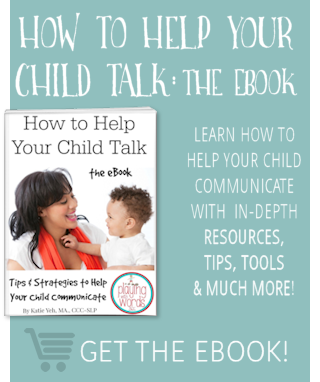 This book is perfect for kids between the ages of 4-8 (even a little older than that!). The pictures are beautiful and really grab kids’ attention. The book is about a little boy named Jeremy and his adventures aboard a pirate ship. He learns pirate lingo, habits, and “non-rules”. This is a must-read book for girls and boys who love adventure! After searching on Google and Pinterest, I found several adorable Pirate Crafts. The one I decided to use with my students is the “paper plate” pirate from Preschool Crafts for Kids. It is simple and doesn’t require many materials. Paper plates, glue, tissue paper, crayons/markers, and black construction paper. Yes, I said EATING dirt! This is by far my most favorite recipe to make with kids. This summer I will be pairing this recipe with TWO books. The first book is Garden Wigglers: Earthworms in Your Backyard (Backyard Bugs) by Nancy Loewen. It describes the life cycle, characteristics, and behavior of earthworms and is perfect for kids ages 5 and up. The second book is Diary of a Worm by Doreen Cronin. This hysterical and entertaining book is for kids ages 4-8. 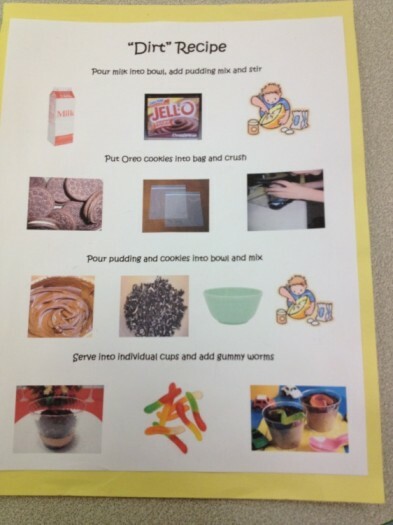 It is all about a worm who lives with his parents, goes to school, and goes on adventures with his friends.I made the recipe chart (see below) with pictures to make sure the younger kiddos could follow along. If you google “dirt” recipe, you will be able to find several different variations. I know there are some kids who are picky eaters so this next book and activity may make it a little more exciting to try some new vegetables! I love the book Up, Down, and Around by Katherine Ayres. It talks about different plants and vegetables growing growing up above the soil, down into the ground, or all around on vines. The craft I use with this book is a finger painted carrot! 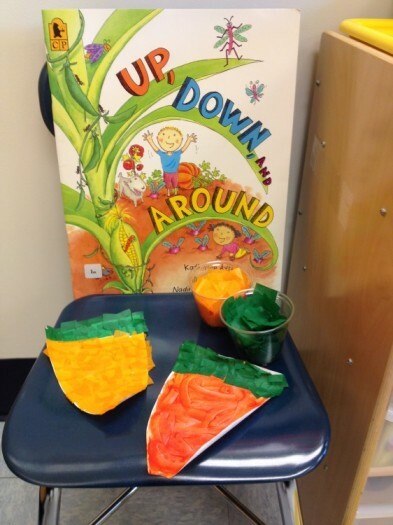 All you need is a printable outline of a carrot, some orange finger paint (you can always just mix red and yellow if you have it on hand), and green tissue paper. If you would rather not use finger paints with your kids, you can use small pieces of orange tissue paper and glue them onto the carrot. You could also search for other printable vegetables and create an entire “garden” with your kids/students! This is an adorable project for kids between the ages of 3 and 6. 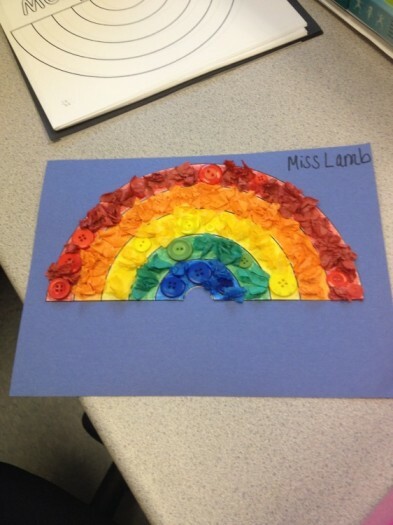 I searched for printable rainbows and found one that was perfect on www.makinglearningfun.com. Next you will need different colored tissue paper, buttons, glitter, etc. You can really use whatever materials you would like. You may want your kids to color each line of the rainbow to give them a guide. Then they can have fun gluing on the materials! This is a great way to start a discussion about colors, different textures, and more! The book I use with this project is What Makes a Rainbow? : A Magic Ribbon Book by Betty Ann Schwartz. It is adorable! Oliver’s Fruit Salad by Vivian French. 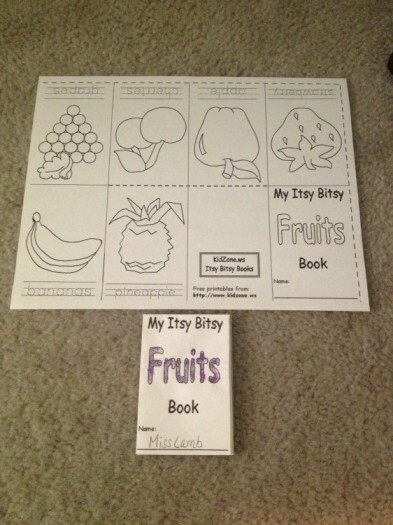 I love making this adorable itsy bitsy fruit book with my students. I found it on kidzone.ws. Your kids will love coloring and talking about all the different fruits. You can even take a “poll” and see which fruit is most liked by your kids/students. 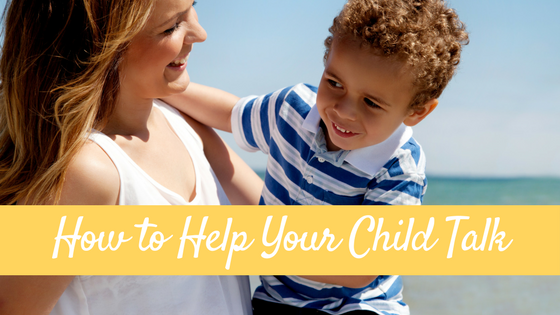 I hope you have all enjoyed this post and are able to use some of the ideas! 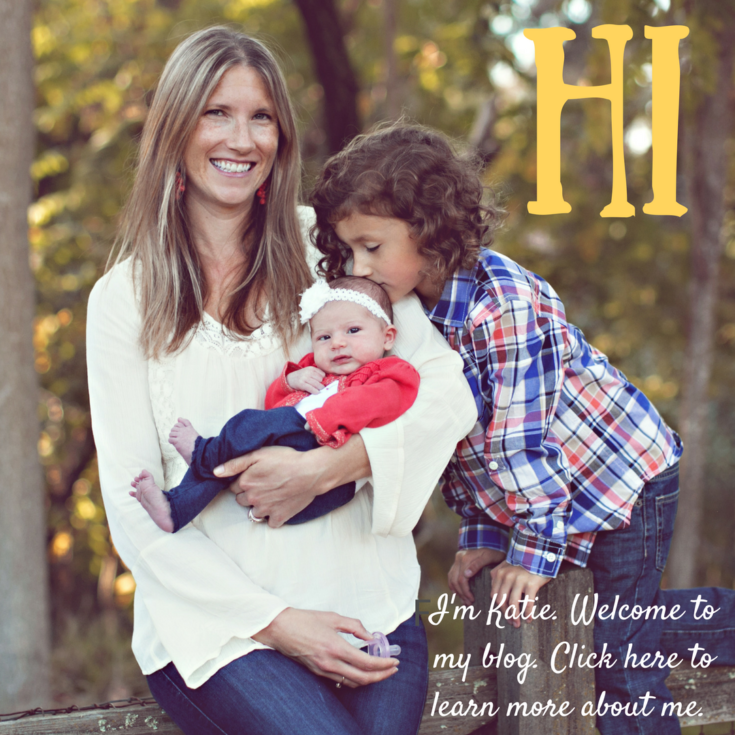 Thank you so much to Katie for giving me the opportunity to guest post on her blog! Kristine is the SLP behind Live Love Speech. She has been working in the public school systems for about 6 years now and works at an elementary school with students in preschool through 5th grade. Kristine’s biggest focus is working with students with autism and the preschool/kindergarten population. 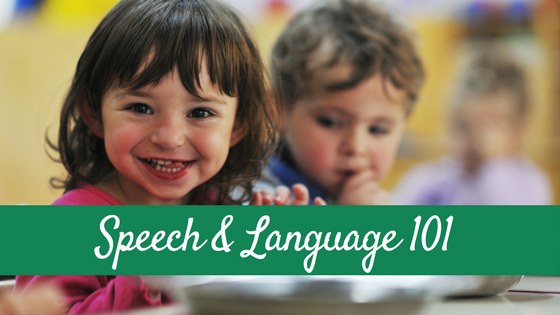 She absolutely love being an SLP and sharing ideas, activities, and information with fellow SLPs, teachers, parents, and other professionals. Check out her blog, Facebook page, TpT store, and Pinterest for more information and fun ideas!